My school’s “intercultural profile” is a survey developed by the E-EVALINTO team with the objective to provide the schools interested in dealing with the challenge of the integration of pupils with migrant background, with a tool for the evaluation of the school context as regard to the management of intercultural issues (identification of needs and individuals potentially at risk and development of specific action plans). It is composed by a set of questionnaires and semi-structured interviews to be applied to the different school actors, school managers, counsellors, parents or legal guardians and pupils, because we consider that in order to obtain a multi-perspective picture of the context, it is crucial to identify the “intercultural profile” of an entire school instead of taking isolated assessments oriented to single individuals or groups. This tool has been applied during the Spring 2017 in 5 pilot schools in the project partners’ countries and the four target groups have been involved by questionnaires or semi-structured interviews depending on the target group to be addressed. The results helped the project teams to design, with the support of the schools, a specific “tailored” training for the teachers, which will be held next November in each school. 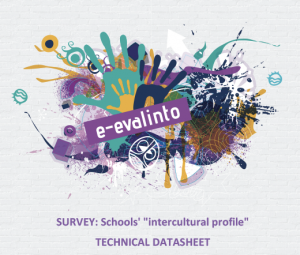 We invite other schools interested in identifying their intercultural profile to use this tool and bring back their feedback.